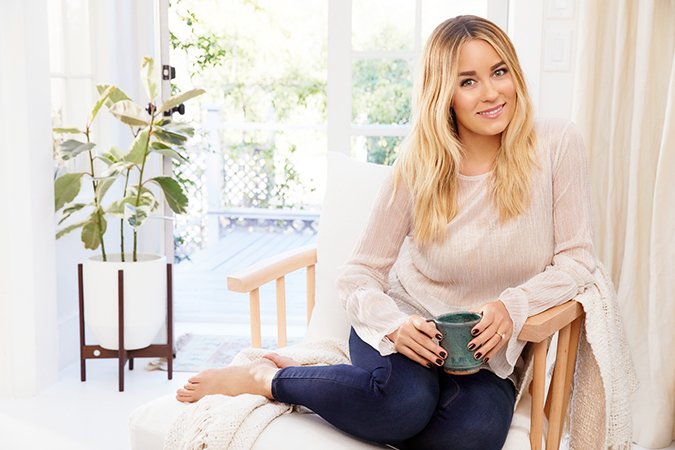 The last LC Lauren Conrad Collection of the year is finally here! I don’t know about you, but 2017 flew by at an alarming rate. With the official start of winter in just a couple of weeks, sweater weather has never been more relevant. For my latest collection, I made sure to include plenty of cold weather staples to help you bundle up in style. From beanies to scarves and ear muffs, you’ll be nice and toasty all season long. In addition to cute and functional accessories, my team and I designed an array of chic sweaters, tops, and bottoms to keep you outfitted well into the New Year. Keep scrolling to see my December LC Lauren Conrad Collection, and don’t forget to enter to win a $100 Kohl’s shopping spree at the bottom of this post! 2. Leave a comment. Comment below telling me which piece from my December LC Lauren Conrad Collection you like the best. Be sure to leave your Twitter or Instagram handle so that my team can contact you if you win. 3. Wait! I will announce the lucky winner in one week on Thursday, December 14th. -winners will be contact via comments and twitter or instagram. -this giveaway ends at midnight on thursday, december 14th.